Oh my goodness. All I can say is thank goodness I’m nursing and have some extra calories to allot because they’re going straight to these! These are ridiculous! 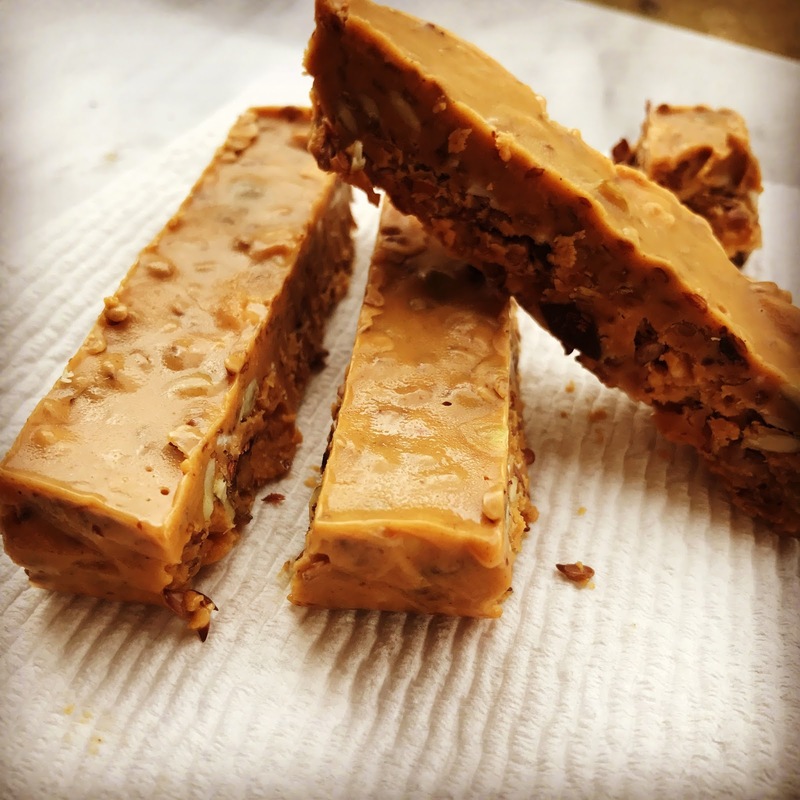 They’re like, superfoods peanut butter fudge bars. Peanut butter, coconut oil, a little chocolate, flax, coconut and a few other things sprinkled in there. Literally melts in your mouth while you’re crunching on all the crunch so you don’t run out of either flavor or texture. I cannot stop! I was feeling terrible all day. Head pounding and just out of sorts. But when you’re a mom, you don’t get sick days! Hauled myself off the couch and did some kitchen experiments with my little (see my InstaStory! )… one of my favorite things to do- to cure my malaise. Definitely glad I did! Fold a few times and pour into a loaf pan. Freeze for 1 hour. Cut and enjoy. Try not to eat all of them in one sitting either 😎. Happy Sunday!! Previous Post "Breakfast on a Stick"